On this episode of the Theme Park Duo Podcast, The Duo talk about one of their favorite attractions…MYSTER LODGE at Knott’s Berry Farm. We were lucky enough to have a chat with Bob Rogers of BRC Imagination Arts, the man behind the attraction itself. 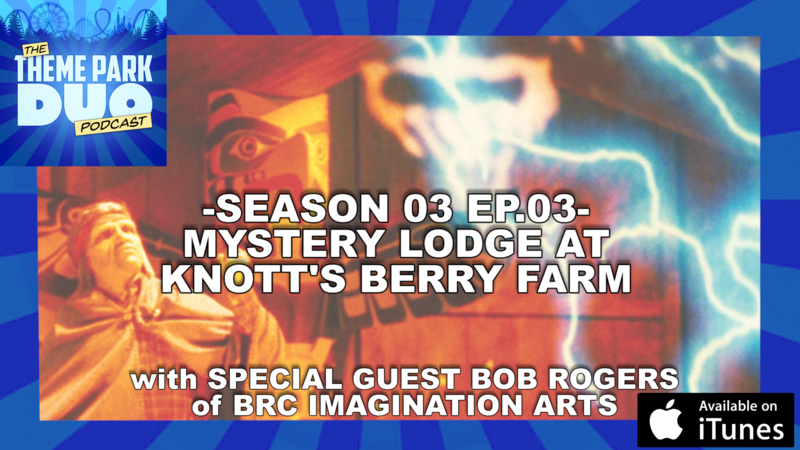 Learn about the story behind Mystery Lodge, how it came to be and why it was called Spirit Lodge before it came to Knott’s Berry Farm and was in the hands of Disney! All of that and so much more regarding the fabulous attraction…Mystery Lodge.